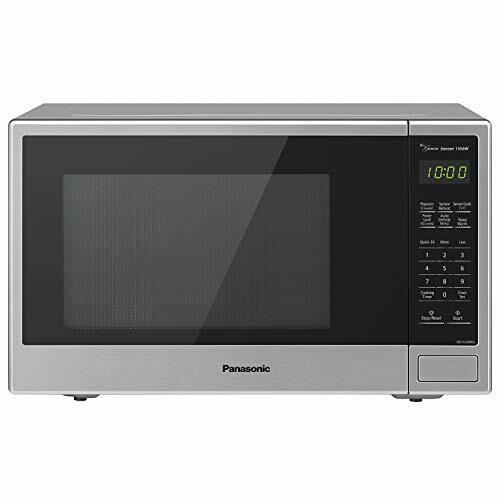 With its sleek, stainless-steel door and base and stainless silver body, the powerful Panasonic Microwave Oven NN-SU696S Countertop/Built-In with Genius Sensor makes a stylish and convenient addition to any home, apartment or condo kitchen. 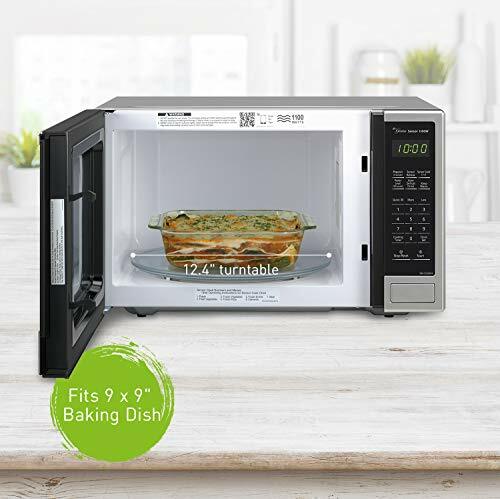 This exceptional 1100-Watt, 1.3-cubic-foot capacity stainless steel microwave with 13.4-inch turntable evenly heats and cooks breakfast foods, after-school snacks, dinners, appetizers and more, making it ideal for singles, busy professionals and on-the-go families. 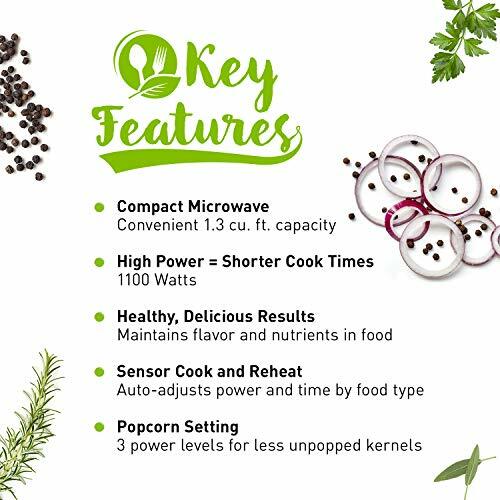 With the touch of the Genius Sensor cooking button, this microwave takes the guesswork out of creating a great meal by automatically setting power levels and adjusting cooking or defrosting time for added time-saving convenience. 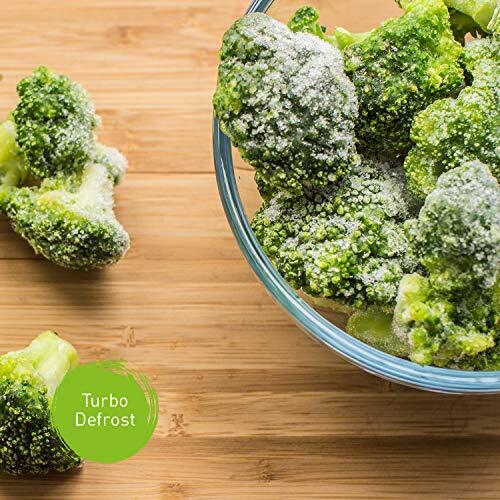 The sensor measures the amount of steam produced during cooking and signals the microprocessor to calculate the remaining cooking time at the appropriate power level. 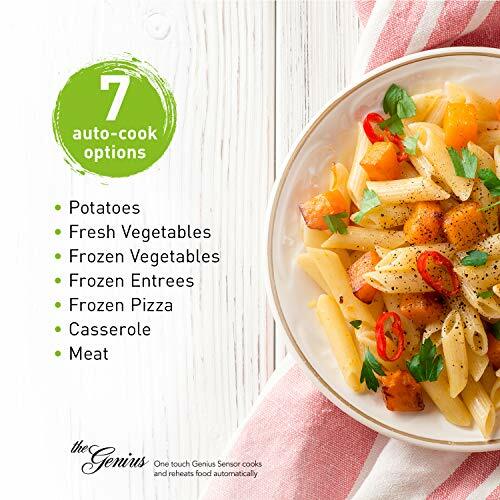 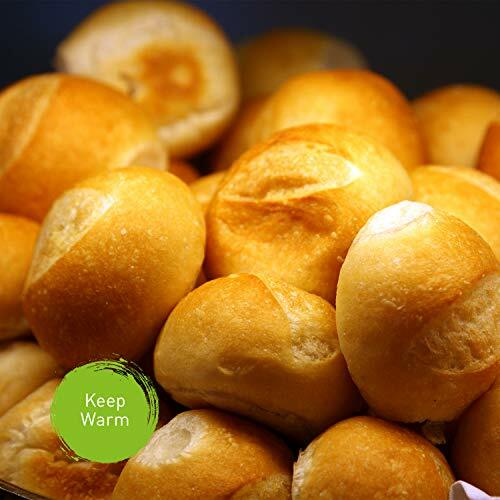 A selection of 7 auto cook options enable you to quickly prepare your favorite foods, such as pizza, popcorn, pasta, soup, oatmeal and other dishes. 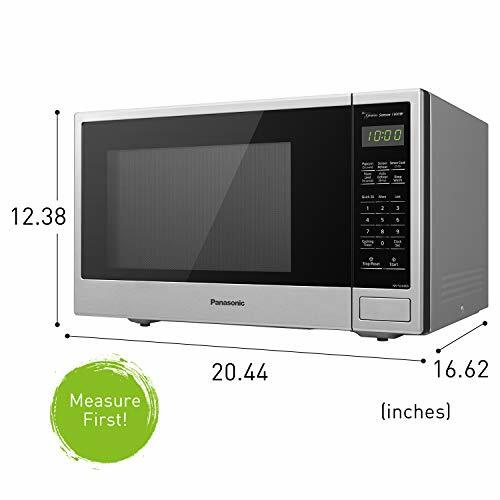 This Panasonic microwave oven externally measures 12-1/4-inch x 20-11/16-inch x 15-13/16-inch (H x W x D). 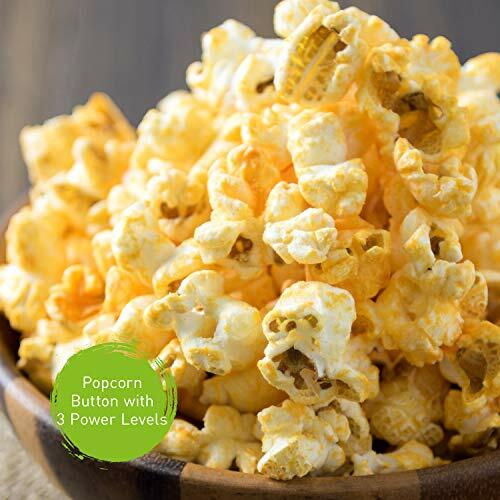 Do not cover or block any openings on this appliance. 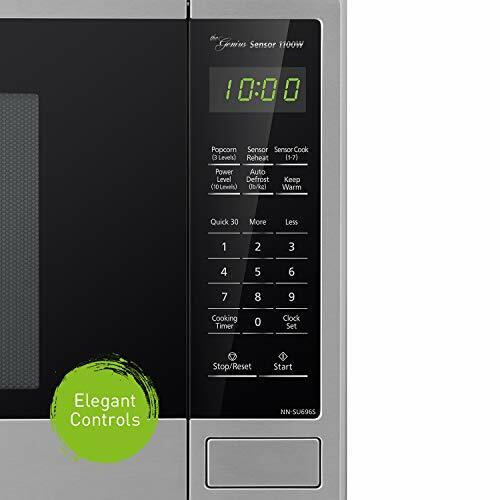 Elegant soft-touch membrane keypad and controls.